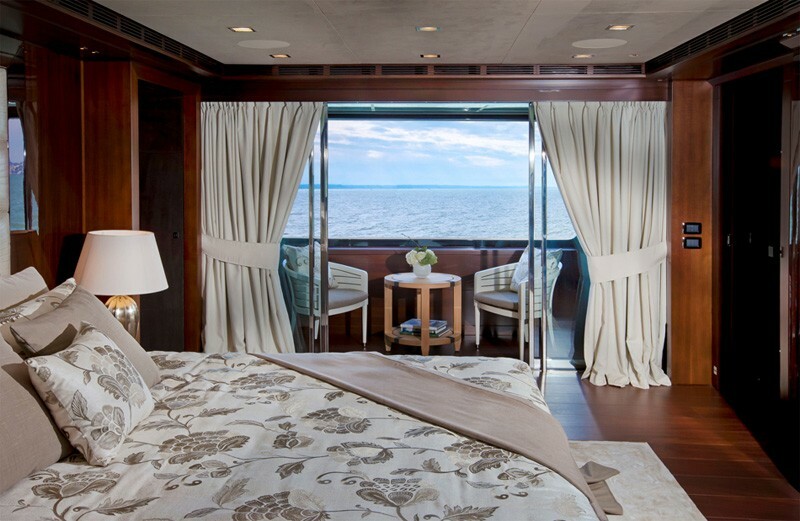 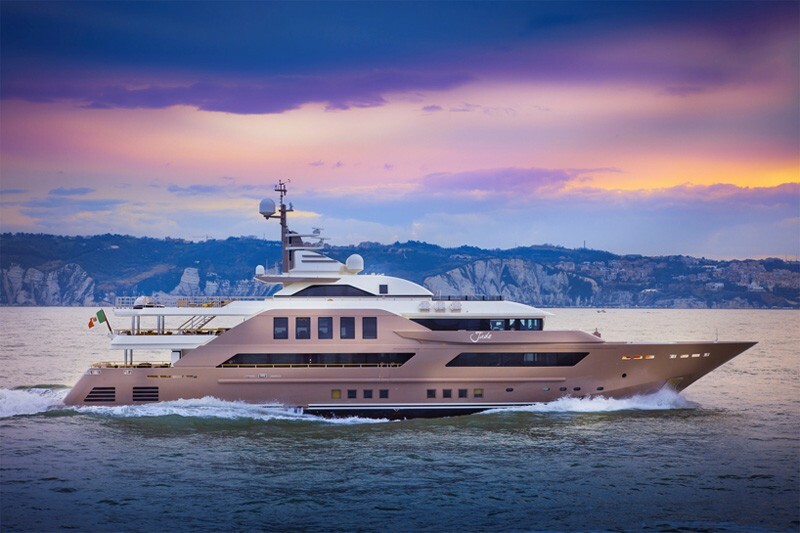 This prestige was crafted by studio zuccon international project and was designed in collaboration with CRN’s technical office and centro stile. 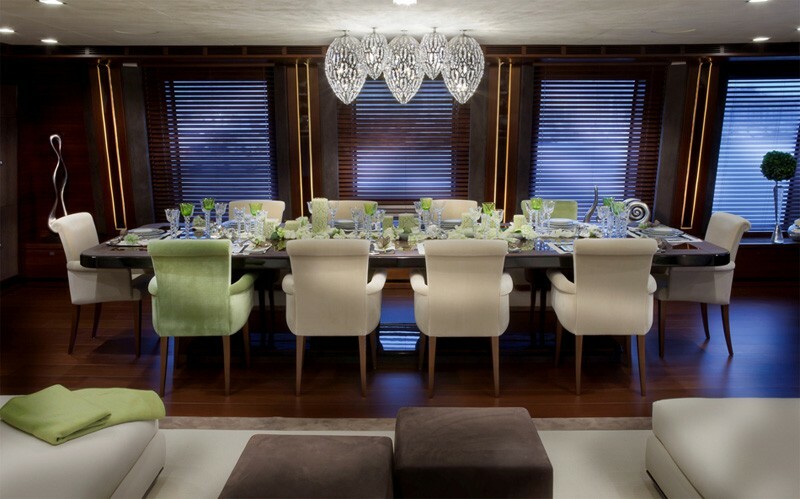 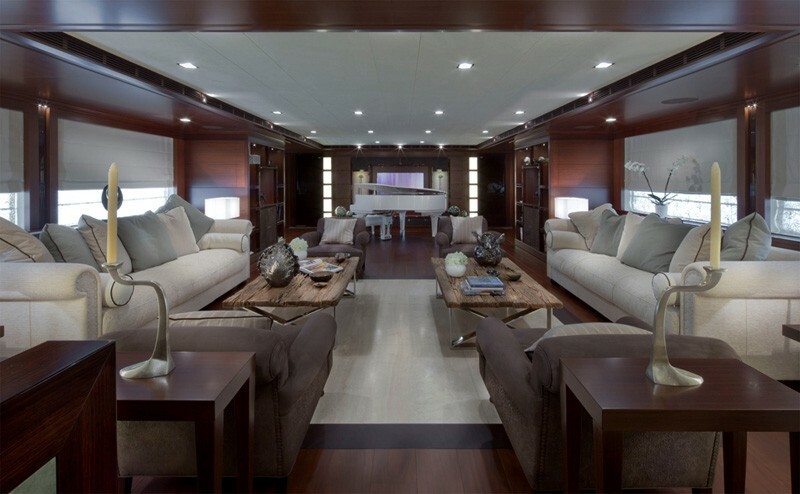 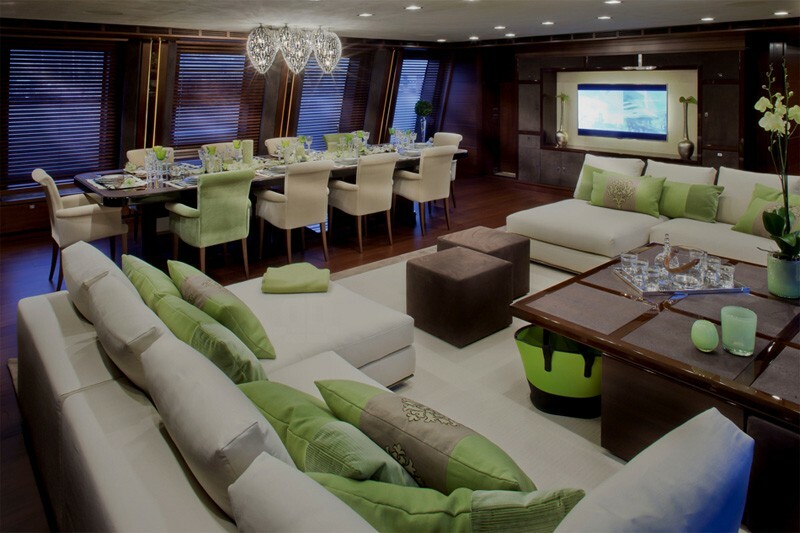 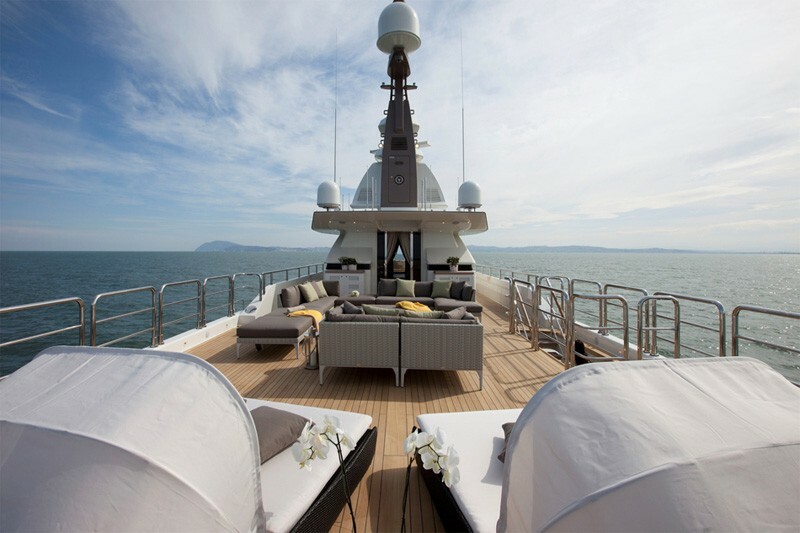 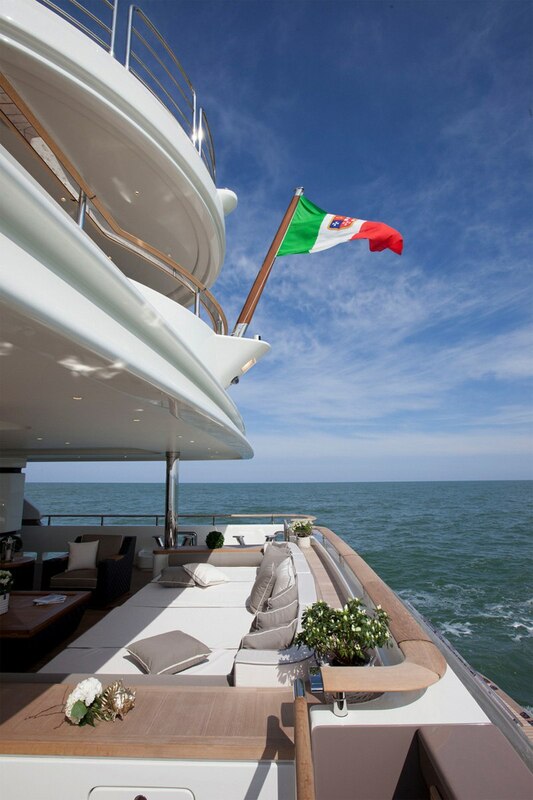 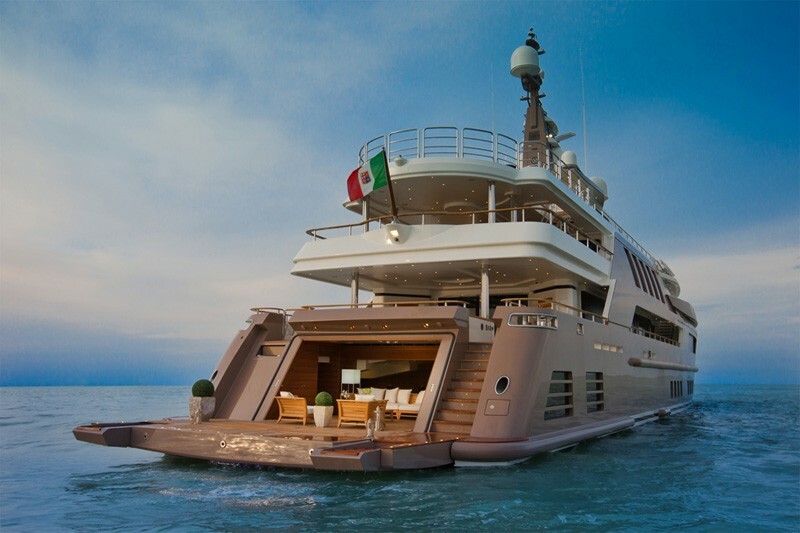 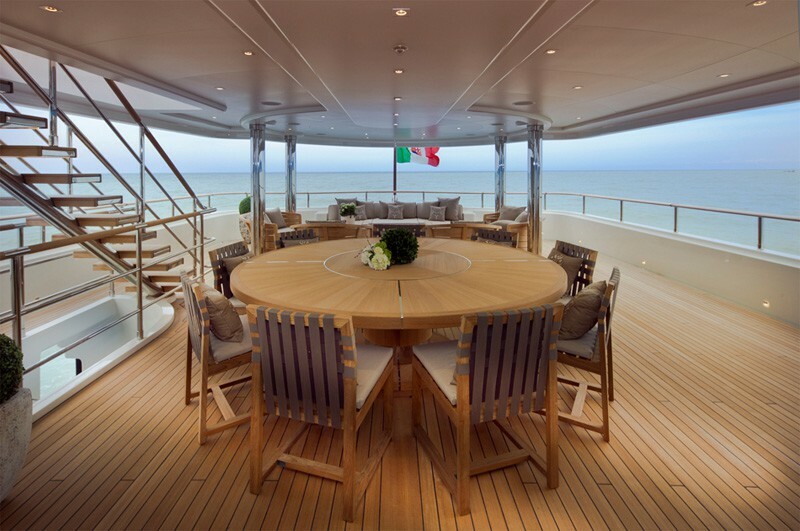 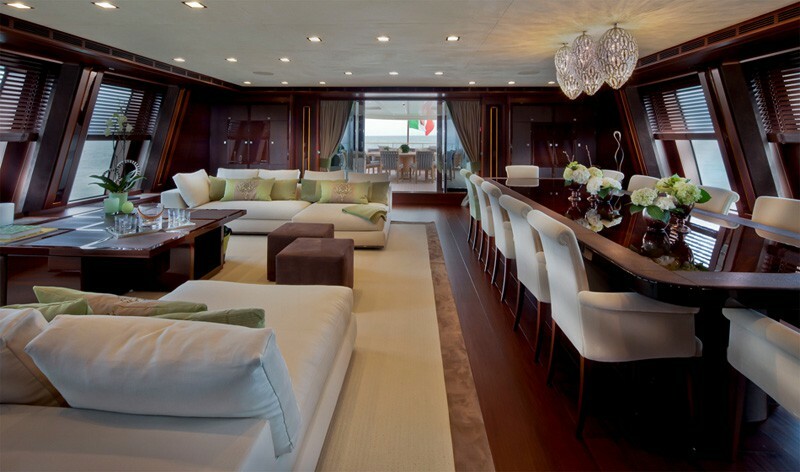 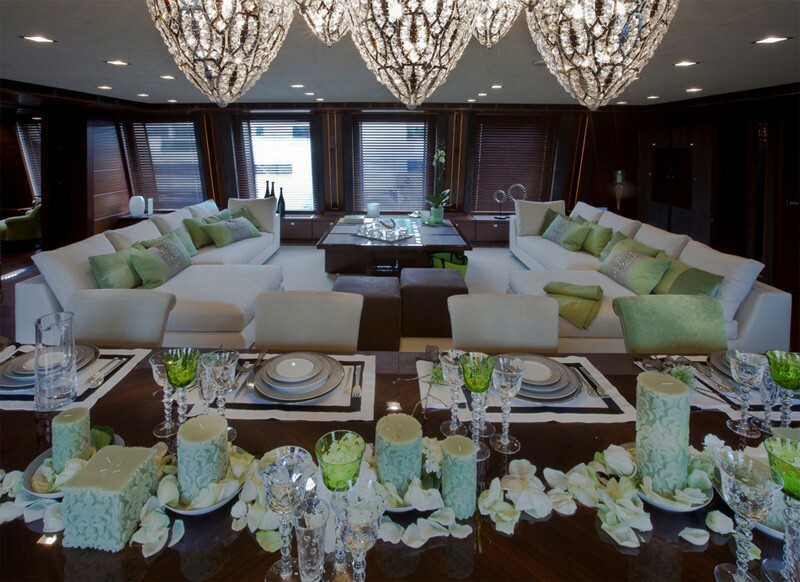 CRN is a brand of the Ferretti Group that was founded in 1968 on the centuries-old italian shipbuilding tradition. 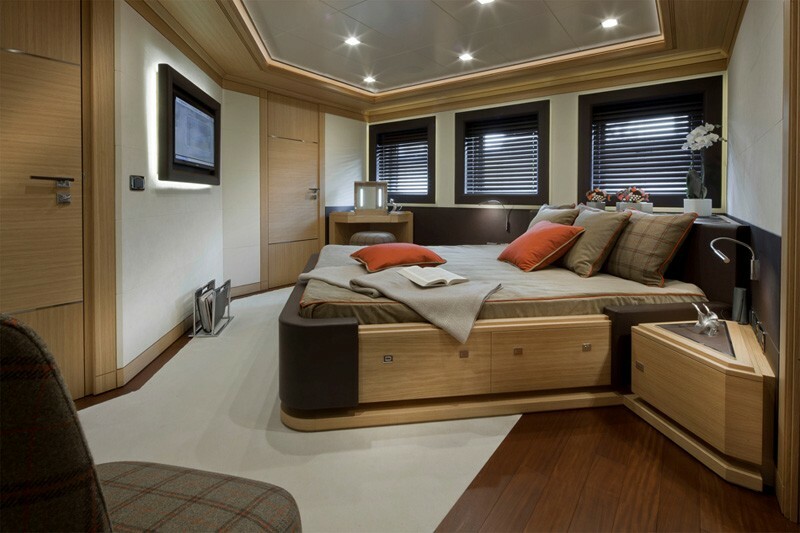 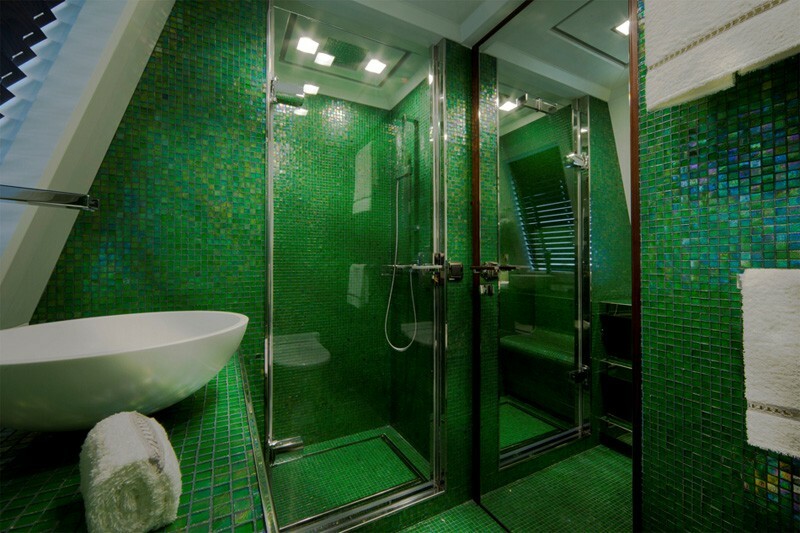 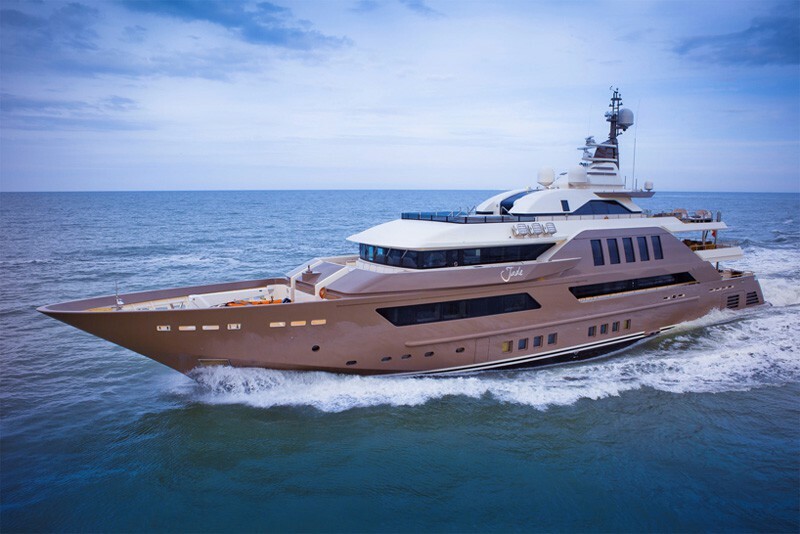 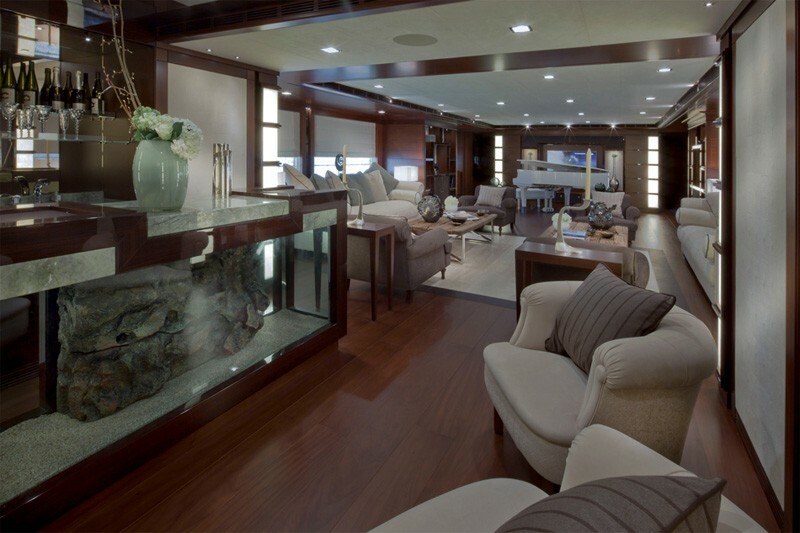 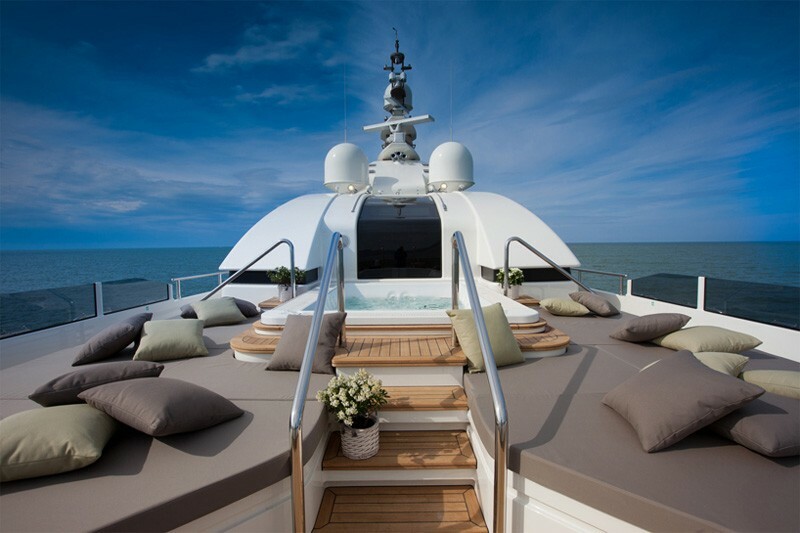 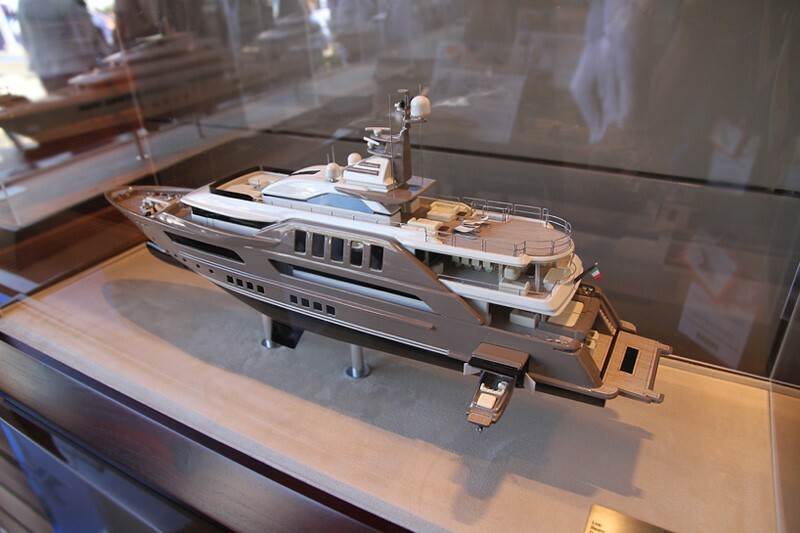 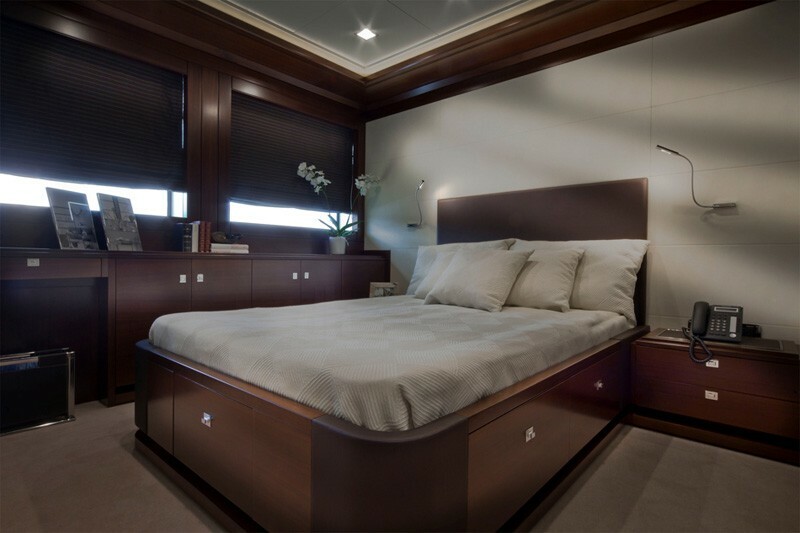 The company is a world leader in the design, construction and sale of motor yachts that have always been characterized for their quality, safety and sea performance. 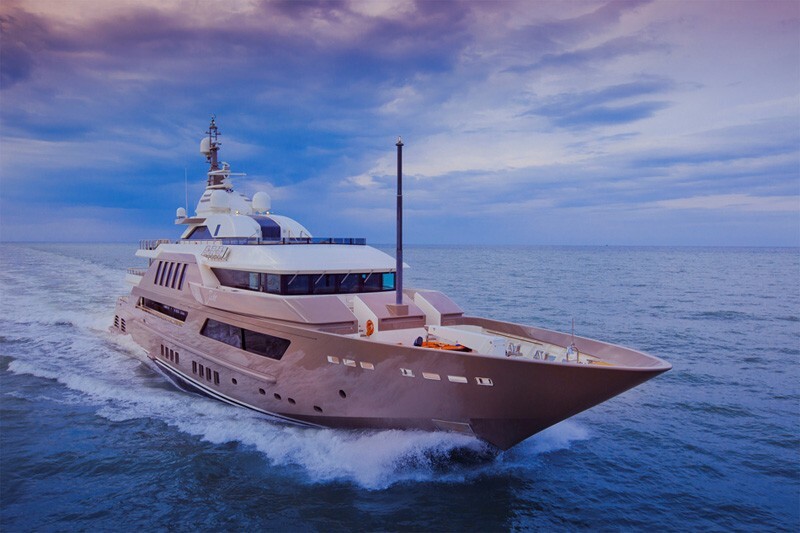 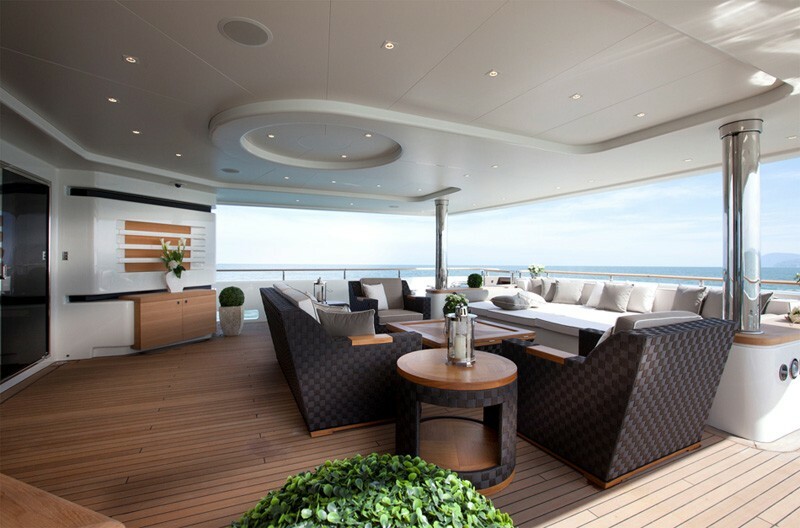 The CRN mega yachts ‘j’ade’ 60m vessel was designed to feel at one with the sea as it boasts special full height windows that provide exceptionally wide panoramic views. 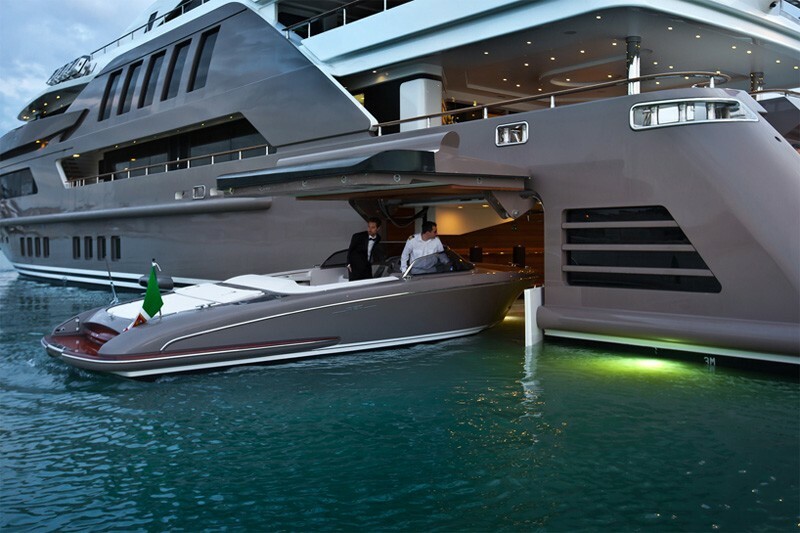 This feeling is even more evident because of the innovative flooded garage that enables the owner to store and easily access the 8 meter riva iseo speedboat without the use for a tender lift. 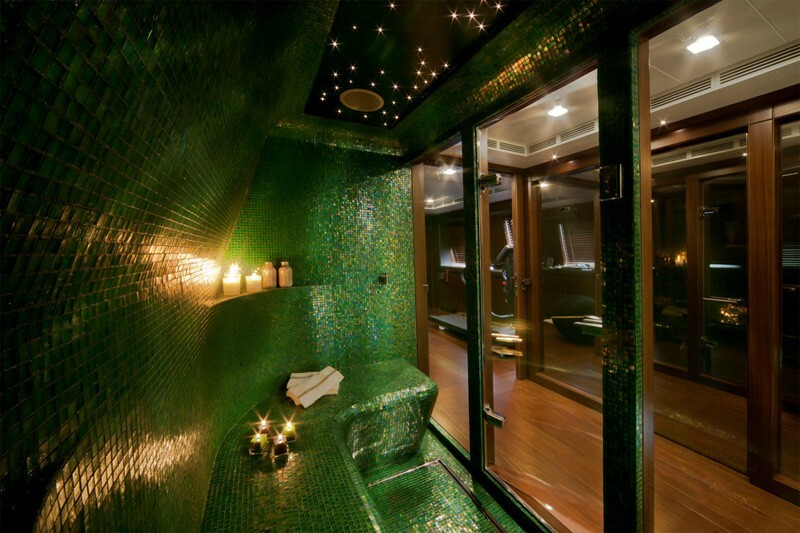 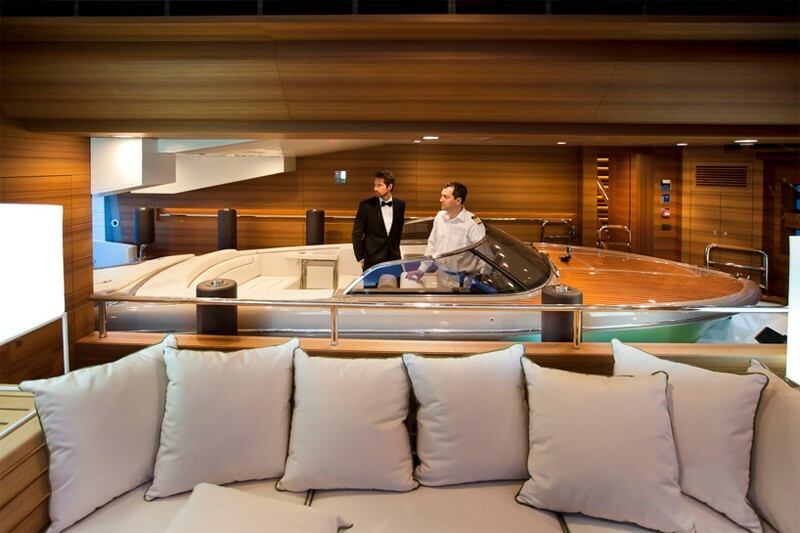 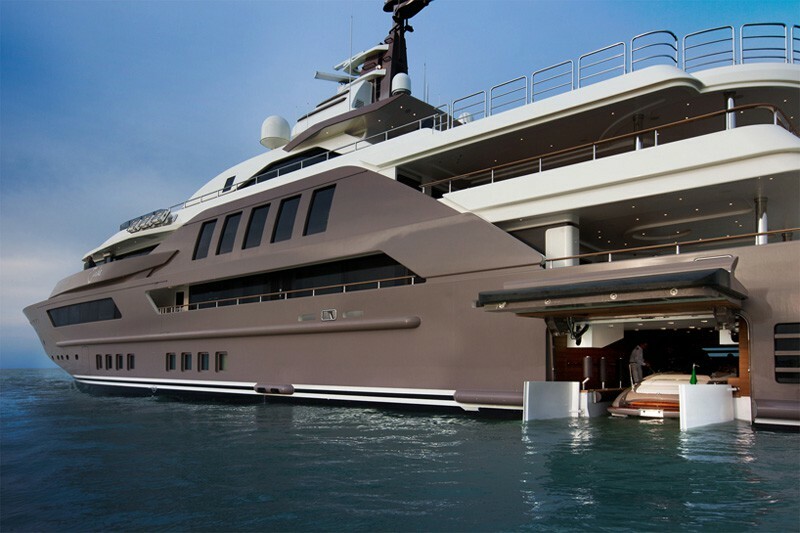 While swimming pools and helipads are commonplace on many a mega yacht, J’ade features the world’s first floating garage. 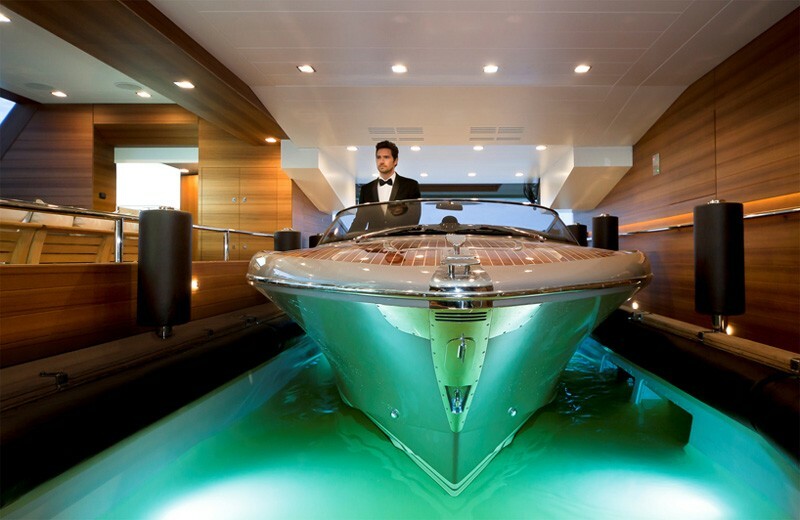 J’ade features a hydraulic-operated hatch which can store an eight-metre speedboat without the use of a tender lift to hoist it out of the water. 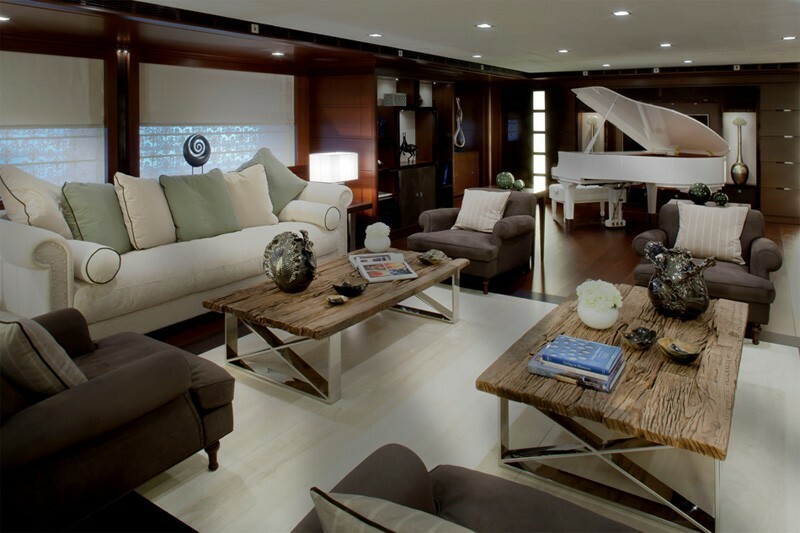 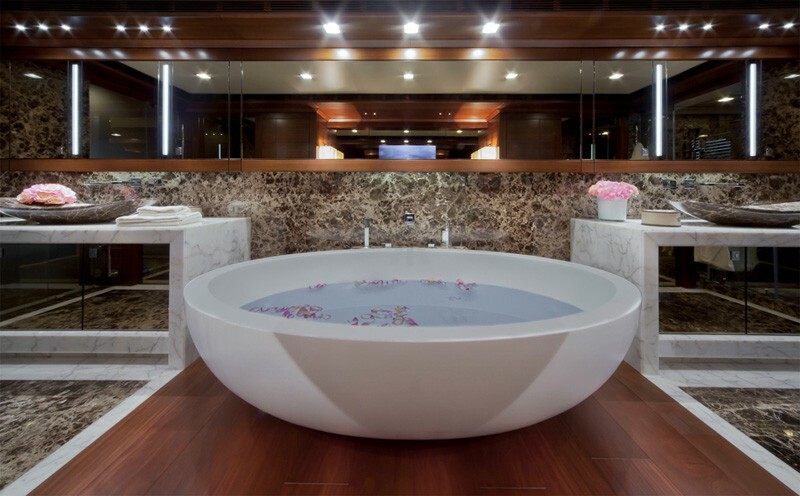 A mixture of marble, wood, metals and leather materials are used. 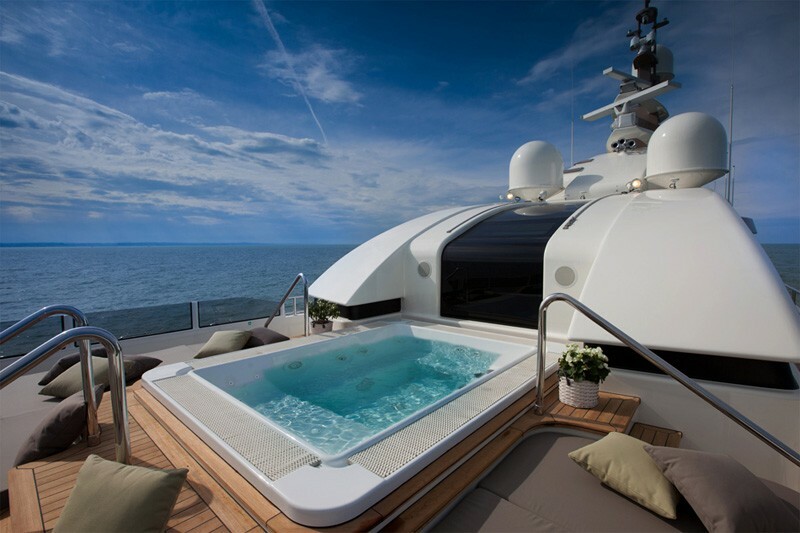 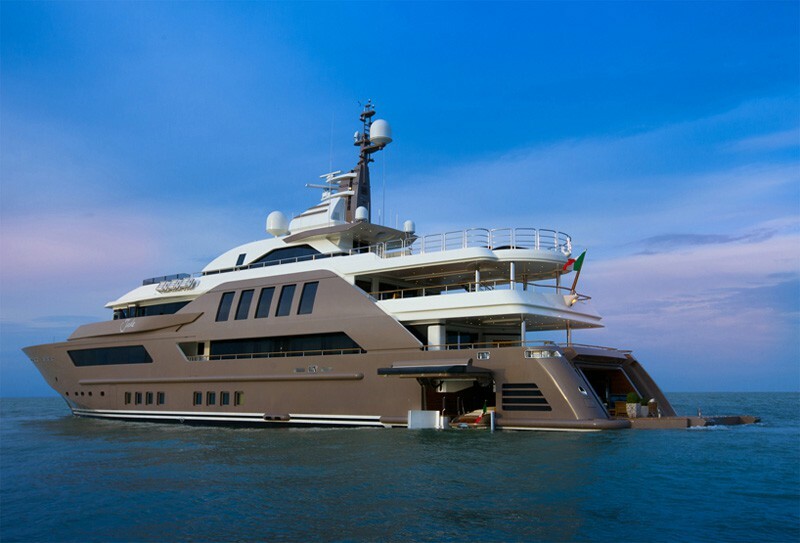 The internal basin floods and empties 18,000 litres of water in just three minutes, allowing the boat to enter the yacht without the use of a crane.